The West Houston Lions appoint Paul Emerick, IV, as Head Coach of the new Men's Division 1 team in partnership with the Houston SaberCats Academy Pathway. As part of this partnership between the West Houston Lions and the Houston SaberCats Paul has also been appointed as the Skills Coach for the Houston SaberCats. West Houston Lions, where players as young as three years old can start their rugby journey. The SaberCats Academy is divided into four age groups, starting with high school students, all the way through post-high school professional players. At the Academy, SaberCats players and coaches offer their experience to help aspiring rugby professionals refine their skills." The appoint of Paul Emerick, affectionately known as The Cactus brings additional coaching resources into the Arms of the Houston SaberCats as the side looks to forge a successful campaign in the second season of Major League Rugby. As a player, Paul was known for being one of the most intense centers in Eagles history playing with great fire and passion earning 53 caps as Eagle #325. His professional career spanned 8 seasons and four countries, having been exposed to multiple environments as a player he'll transfer that level of professionalism onto the West Houston Lions. Paul joined the US Air Force Academy coaching team in the fall of 2015 where he helped establish a lethal wide attacking style of rugby which he will bring to the West Houston Lions. Recognized as a rising coaching talent in the United States as part of the USA Rugby Eagles SOAR program currently serving as an assistant coach with the Collegiate All-Americans. 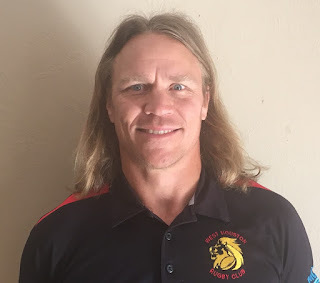 Paul's appointment completes the assembly of an impressive club coaching staff for the West Houston Lions that will attract high level Rugby Athletes that desire the opportunity to develop into professional Rugby players for the Houston SaberCats.